Original fairy tale gown worn by both "Snow White", played by Ginnifer Goodwin and "Emma Swan", played by Jennifer Morrison in the fantasy drama television series "Once Upon a Time" (2011–2018). 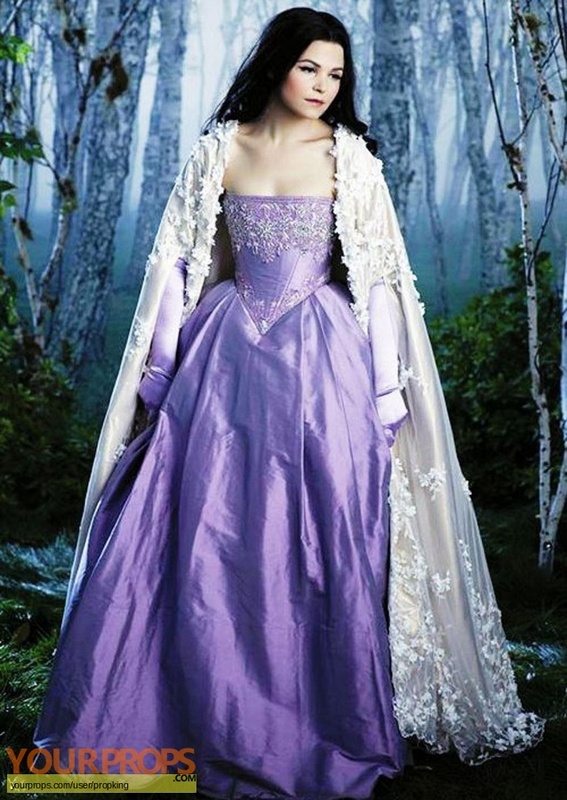 Hero costume worn in the episode "The Price of Gold" by Snow White and also featured Season 2 promotional stills. 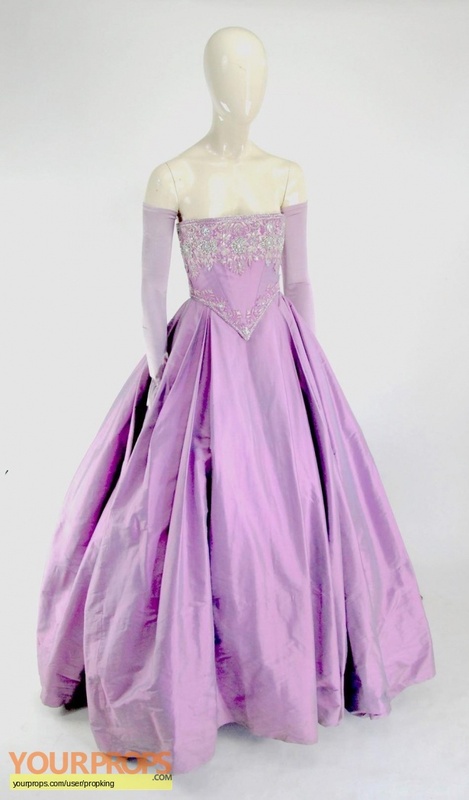 Worn by Emma Swan in Season 3 promotional stills. 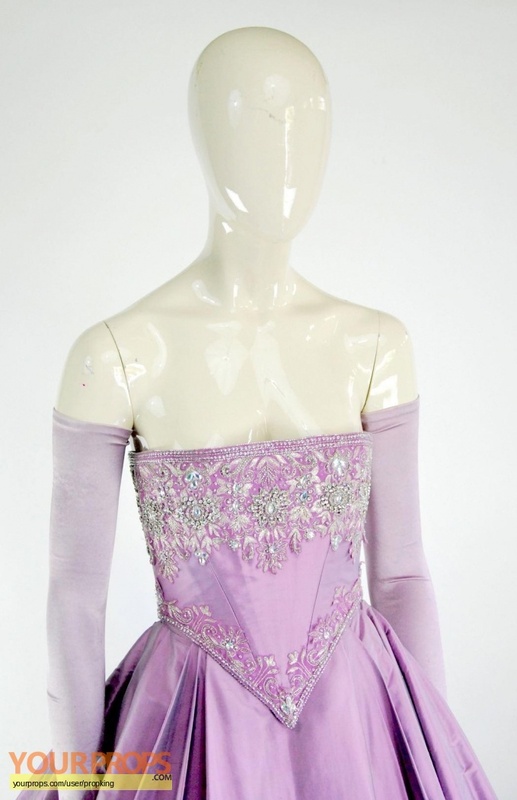 Consisting of a 2-piece fairy tale gown featuring a dusty metalic purple embroidered and bejewled bodice with internal boning armature, a matching empire waist pleated skirt, and a pair of lavender nylon full-length gloves.